FreeTaxUSA is a tax management software that provides users with the option to file their federal taxes online for free or for a small fee. It also enables users to access all common tax reforms within the software. We compiled FreeTaxUSA user reviews from around the web and determined that they have a mix of positive and negative ratings. We also shared the pricing options available. 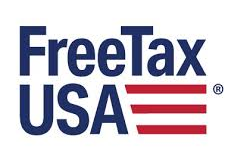 Users who gave FreeTaxUSA a positive review said that the software is straightforward and easy to use. They also like the affordability of the product, while still delivering its services well. Users who gave FreeTaxUSA a negative review said that the software was unable to notify them about errors committed when filing their taxes. Some users also reported that they were charged for services that were not fully rendered. One user who gave FreeTaxUSA a positive review on SiteJabber said that he has been using the software for twelve years and has been consistently satisfied with the services it provides. He shared that he never had a problem filing his state and federal taxes using FreeTaxUSA. He also commended the product for its ease of use and intuitiveness. One user who left a negative review of FreeTaxUSA on SiteJabber said that her credit card was charged even before she was able to file her tax return completely. She complained about not being able to get a refund from this incident and that she even had to paper-file her taxes because of this issue with FreeTaxUSA. FreeTaxUSA offers two plans: Free ($0) and Deluxe ($6.99). All common tax reforms such as joint filing and itemized deductions are supported for free. An additional $12.95 is required to use the state tax filing service. The main differences between the plans are the availability of unlimited amended returns, audit assist protection, and priority customer support. Check out the list below for some of FreeTaxUSA’s features. Can I work on my tax return on both my work and home computer? Yes, it doesn’t matter which computer you use as long as it meets FreeTaxUSA’s browser requirements: Internet Explorer 7.0 or later, FireFox, Google Chrome, or Safari. Can I file my all of my state returns using FreeTaxUSA? Yes, all state returns are supported by FreeTaxUSA. State returns are priced at $12.95 each. However, e-filing and printing of returns is always free. How will I know if the Internal Revenue Service (IRS) has accepted my e-filed return? You can check if your return has been accepted by the IRS by signing in to your account in order to view the status of your e-filed return. Email updates will also be sent about the status of your tax return. This video provides an overall background on what FreeTaxUSA can do to help users file their federal taxes for free online. Not sure if FreeTaxUSA is the right fit for you? Read our reviews of all top tax software or check out one of these three FreeTaxUSA competitors.